The 1999 FIBA European Championship, commonly called FIBA EuroBasket 1999, was the 31st FIBA EuroBasket regional basketball championship held by FIBA Europe, which also served as Europe qualifier for the 2000 Olympic Tournament, giving a berth to the top five (or six, depending on Yugoslavia reaching one of the top five places) teams in the final standings. It was held in France between 21 June and 3 July 1999. Sixteen national teams entered the event under the auspices of FIBA Europe, the sport's regional governing body. 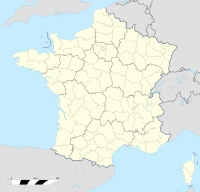 The cities of Antibes, Clermont-Ferrand, Dijon, Le Mans, Paris, Pau and Toulouse hosted the tournament. Italy won its second FIBA European title by defeating Spain with a 64–56 score in the final. Italy's Gregor Fučka was voted the tournament's MVP. Of the sixteen teams that participated in EuroBasket 1999 only two earned direct berths: France as hosts and the champions from EuroBasket 1997, Yugoslavia. The other fourteen teams earned their berths via a qualifying tournament. ^ 1999 European Championship for Men - Schedule and Results, FIBA Archive. 1999 European Championship for Men, FIBA.com. This page was last edited on 22 February 2019, at 13:09 (UTC).